” I reuse by using a plastic container for lunch and a metal bottle” writes and illustrates Amanda Koffler. 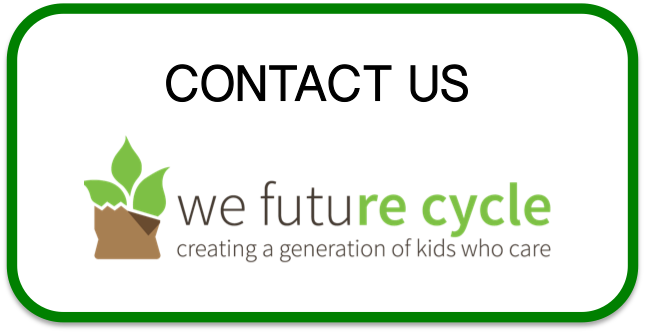 We Future Cycle recently did a refresher class in all classrooms of New Rochelle Davis Elementary School. Students learned more about how bad garbage was for the environment, and that there is no “away” on this Earth. Ms Curry’s First Grade class was all fired up and decided to write a book on how they will make a difference and help this Earth. I was very impressed. Jefferson Rabanales wrote a “How to” story on sorting. He titled it “How to recycle” and outlined clearly the steps. Abigayle Mills outlines that she helps the Earth by always bringing reusable water bottles. Every single one of Ms Curry’s students pledged to help the Earth. Way to go!